Complex prehistoric patterns discovered around site of ancient Welsh burial chamber. A team of archaeologists, led by a researcher from the University of Bristol, has uncovered the remains of a possible Stonehenge-type prehistoric earthwork monument in a field in Pembrokeshire. Members of the Welsh Rock art Organisation have been investigating the area around the Neolithic burial chamber known as Trellyffaint – one of a handful of sites in western Britain that has examples of prehistoric rock art. The site of Trellyffaint dates back at least 6,000 years and has been designated a Scheduled Monument. It is in the care of Welsh heritage agency Cadw. The site comprises two stone chambers – one of which is relatively intact. Each chamber is set within the remains of an earthen cairn or mound which, due to ploughing regimes over the centuries, have been slowly uncovered. On the capstone that covers the south-eastern chamber are at least 50 engraved cupmarks (one of the most common forms of later prehistoric engraving in Western Europe), the meaning of which has been long forgotten but probably represented some sort of pictorial message. Before now, it is thought that the site has never been fully investigated. Dr George Nash, lead project director from the Department of Archaeology and Anthropology at the University of Bristol and his team, which includes former Bristol students, have conducted a series of non-intrusive surveys in and around the monument. The fieldwork element of the project started in December 2016 following the acceptance of a project design by Cadw. This phase included a magnetometry study which covered 80 square metres around the monument and a detailed earthwork survey of the monument itself. The geophysical survey uncovered a number of anomalies which are considered to be more than likely buried prehistoric features. Dr Nash said: “To the south and southwest of the stone chamber and appearing to run underneath the southern section of the Trellyffaint mound are two clear circular anomalies. “It is regarded that this feature may possibly be a henge (otherwise referred to as a hengiform) measuring around 12 metres in diameter. Further subsurface features of a probable later prehistoric date occur to the north-east, north and west of the Trellyffaint monument. Although the precise depth of these features is, for the moment unknown, the team were interested to note that 2-3000-years’ worth of accumulated soil has not created any visible earthworks. This phenomenon though is not uncommon in coastal areas where soil deposition and accumulation can be rapid. So far, the results of the geophysical survey have yielded a set of subsurface anomalies that reveal a complex ritualised landscape that includes the precursor to a Stonehenge-type earthwork monument and is similar to the six or more features that were found using similar geo-prospection methods at the nearby Neolithic site, Trefael, in 2012. Dr Nash said: “The next stage of the project is to apply for Scheduled Monument Consent (SMC) which will include targeted excavation over recognised anomalies identified from the magnetometry survey. This fieldwork will take place between April 21 and 23. For details on how to get involved, visit the Welsh Rock Art Organisation’s Facebook page. Wessex Guided Tours offer archaeology tours of South West Britain. Technology reveals ancient city at Old Sarum (near Salisbury) without digging. British archaeologists have created a map of a medieval settlement using state-of-the-art scanning techniques without having to dig in to the ground. Relying on magnetometry, ground-penetrating radar and electric resistive tomography, the team from the University of Southampton uncovered the footprint of a town located at the Old Sarum archaeological site near Salisbury, Wiltshire. “Archaeologists and historians have known for centuries that there was a medieval city at Old Sarum, but until now there has been no proper plan of the site,” said Kristian Strutt, director of archaeological prospection services at the University of Southampton. Old Sarum is believed to have been one of the oldest settlements in England. Located about ten miles from the iconic Stonehenge monument, the site was inhabited as early as the Iron Age and bears some evidence of the presence of Roman soldiers in the early centuries AD. In the recent survey, the archaeologists focused on the area around the inner and outer baileys of what was once a fortification. They discovered foundations of multiple large buildings concentrated along the southern edge of the outer defensive wall, which probably used to serve military purposes. Some of the structures are believed to date back to the 11th century, about the time when the Salisbury (New Sarum) cathedral was built. The researchers also found a large open area behind the big buildings, residential areas in the south-east and south-west quadrants of the outer bailey and evidence of deposits indicating industrial features, such as kilns or furnaces as well as signs of quarrying after the 1300s. The medieval city is believed to had been inhabited for at least three centuries but was eventually abandoned as the importance of the neighbouring Salisbury grew. 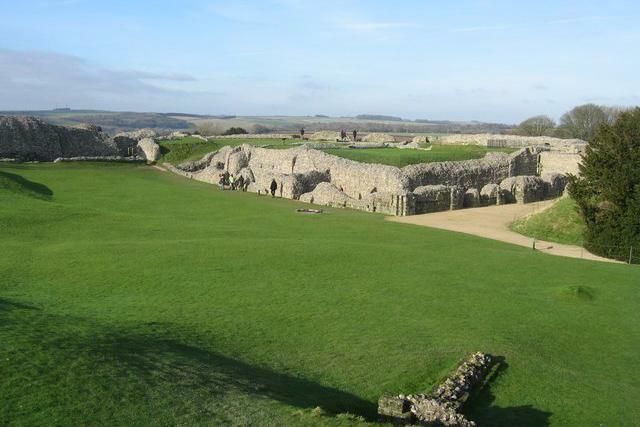 “The use of modern, non-invasive surveying is a great start to further research at Old Sarum,” said Heather Sebire, property curator at English Heritage, which is managing the site. The team hopes to perform the next phase of non-invasive surveying in Easter 2015. The research was conducted as part of the Old Sarum and Stratford-Sub-Castle Archaeological Survey Project, directed by Kristian Strutt and fellow Southampton archaeologists Timothy Sly and Dominic Barker. 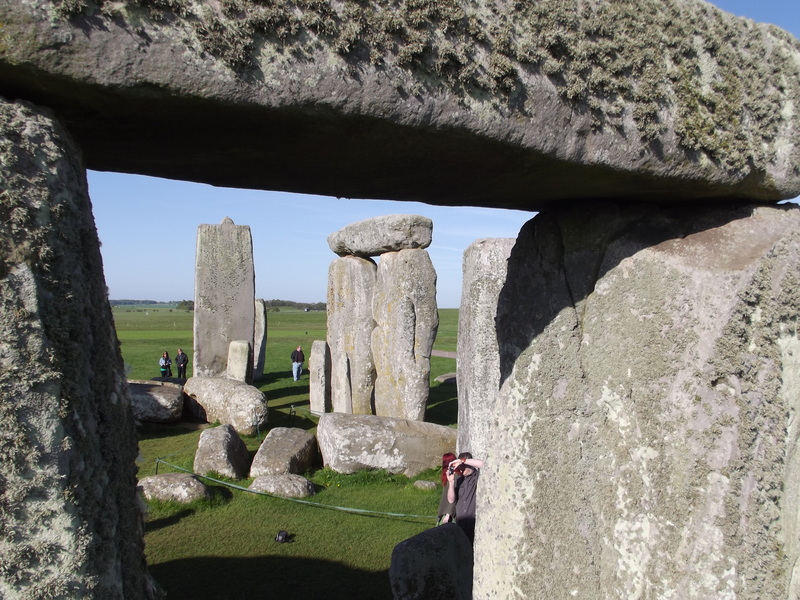 Similar technology was recently deployed by archaeologists and scientists from Birmingham University and the Ludwig Boltzmann Institute of Vienna to survey the landscape around Stonehenge. The results from there revealed that Stonehenge did not sit alone within its Neolithic landscape. Don’t worry if your accommodation is in London, its very easy to get to Salisbury or Bath from London by train and the trains run till late so there is still time to get back to London last thing.